CSHL Archives Repository | Chen Dong and Peter Burrows at Signaling and Gene Expression in the Immune System Symposium Cocktail Party, 1999. Chen Dong and Peter Burrows at Signaling and Gene Expression in the Immune System Symposium Cocktail Party, 1999. 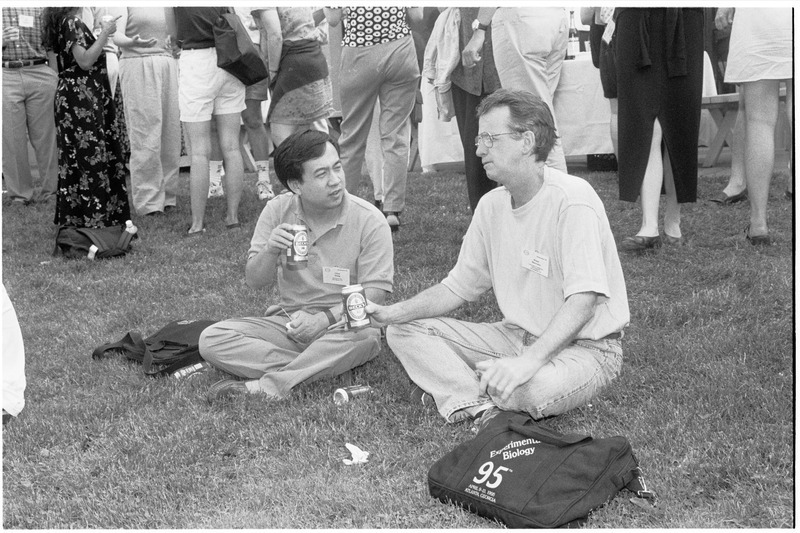 Emmons, Marlena, “Chen Dong and Peter Burrows at Signaling and Gene Expression in the Immune System Symposium Cocktail Party, 1999.,” CSHL Archives Repository, Reference SQB/1999/1.53255, accessed April 25, 2019, http://libgallery.cshl.edu/items/show/56686.